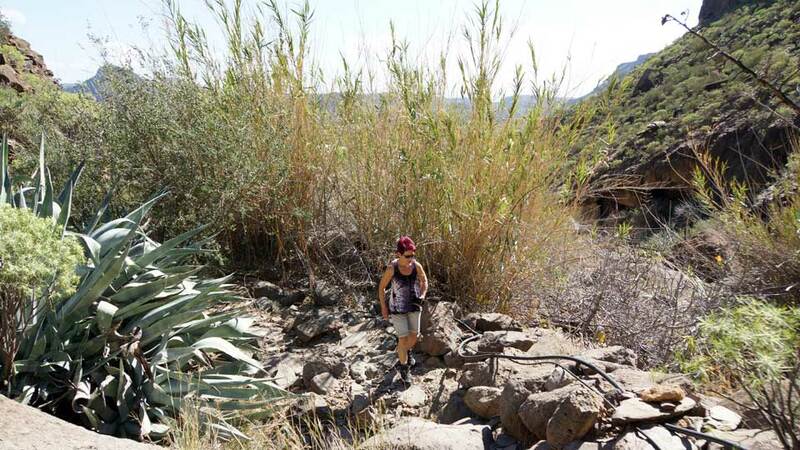 In the south-east of the Gran Canaria lies the captivating beauty of Pilancones Natural Park. With a thriving flora and fauna that creates a wondrous spectacle distinct to this site, the island has a lot more to offer aside from its famous beaches. As such, travelers now have one more place to add to their vacation itinerary. Pilancones, located in San Bartolomé de Tirajana, features a stunning landscape that spans nearly 60 km2. From its peaks to rolling hills and pine forests, the park is also a designated zone for special protection of birds. As a tourist destination, it offers breathtaking views as well as unforgettable fun experiences. The Pilancones Natural Park is the oldest part of the island and is considered to be one of the most beautiful too. One of its many allures is its terrain of deep ravines separated by narrow plateaus. Moreover, just the like the adjacent Roque Nublo Rural Park to the north and Fataga Protected Area to the east, Pilancones is an embodiment of a thriving biodiversity and ecosystem. The natural park has a rich flora and fauna which is evident at every turn. Furthermore, its classification as an EU Special Bird Protection Area ensures the survival of its endemic bird species. 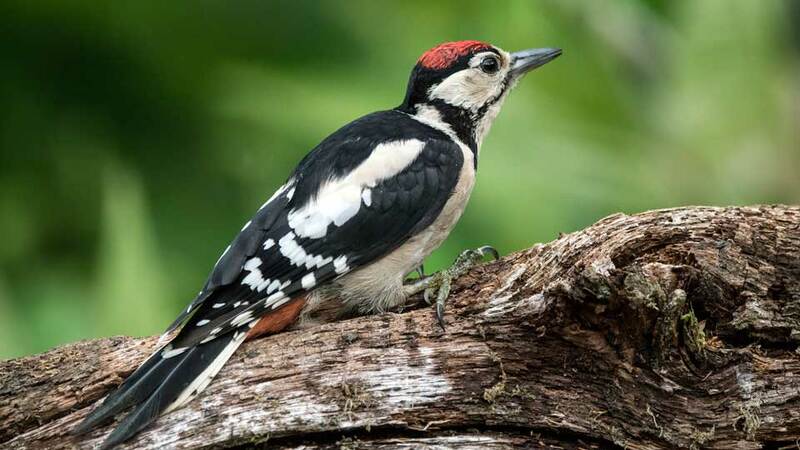 As such, the lush Canarian Pine forests are a haven for the notable Blue Chaffinch and Great Spotted Woodpecker. In the lower areas, small streams and reservoirs are also shelters to many waterbird species. Adding to the graphic appeal is its diverse flora. Euphorbias or Spurges thrive on stretches of fertile lowland. On hilltops and upper areas among the pine woods, Dragos (Dragon Trees) is a magnet for tourist. Not only are they the very definition of postcard perfect, but the whole park itself is also of great interest to the scientific community. Pilancones Natural Park is not only full of natural beauty, but it is also historically significant. In different parts of the site, scientists and archaeologists have found many pre-Hispanic ruins. Relics such as the necropolis of Arteara, Los Caserones, Gitagana, Los Canalizos de Chira, Lomo de la Palma and Lomo de Pedro Afonso bring back past back to life. Fun activities, easy treks, heart-stopping climbs, these are only some of the things to do in Pilancones Natural Park. Although it is a favorite tourist destination in Gran Canaria, the tranquility of its vastness is evident. From its lush vegetation to the hillside forests and up to the peaks, there is something for everyone. Experienced mountain walkers and seasoned hikers may find an unchallenging track a bore. The good news is that boredom is never an option in Pilancones. From the town of Tunte near Hotel Las Tirajanas, Pino Pilancones-Ayagaures Trail offers an adrenaline-pumping trek. After a 16-km hike, hikers will reach the endpoint in Ayagaures. For leisure walkers and nature lovers who prefer easy hikes, the natural park has an uncomplicated trail with access to the most scenic sights. Take the uncrowded course near Cruz Grande through the natural park. Further down, there is a great spot overlooking the white houses with orange or brown clay roof tiles of Fataga. Tip for Hikers: For a picture-perfect moment, many recommend the trail by the Embalse de Gambusia lake, near Ayagaures. From there, walk all the way around to the peak where a spectacular view awaits. The Pilancones Natural Park is the perfect place for birdwatching. It is a well-preserved and protected shelter to numerous colonies of birds, which includes endemic subspecies such as the Blue Chaffinch, the Great Spotted Woodpecker, and the Black-Rumped Waxbill found in small streams of water. With the use of binoculars and telescopes, or even with just the naked eye, anyone can watch and observe our lovely feathered friends in their natural habitat. Adventure seekers can hold orienteering games or a competitive scavenger hunt. It is an excellent idea for groups as the game requires participants to work in small teams. Individuals may also participate, but this is only recommended for expert hikers, mountain walkers, or orienteers. Although this type of game is fun, it also needs preparation and thorough research. It is also best if the organizer can work with a park guide. Besides having different trails to choose from, organizers can also incorporate many elements of the park. For instance, looking for a particular kind of flower, finding the largest tree and hugging it, or spotting three different types of plants. Hiking is fun, but it can also be very exhausting. Thus, to fully enjoy the Pilancones experience and the remainder of the Gran Canaria trip, a good sleep before and after the hike is essential. High up in the mountains of San Bartolome, a breathtaking view awaits guests of Hotel Las Tirajanas. Every inch of this simple yet magnificent accommodation exudes traditional Canarian architecture. From wood ceilings to bed frames and lounges, it is truly a home away from home. Located only 21 km away from the Pilancones trail starting point, it does not take an hour to reach by car. For some fun under the sun in the hotel, it has outdoor tennis courts and swimming pool with lovely surrounding mountains as the backdrop. Guests may also hire bikes (and cars) to roam around the area freely. For some relaxation, they also have a spa, sauna, hot tub, and Turkish bath. Near Nublo Rural Park, Hotel Rural Fonda de la Tea has a majestic view of the mountains and overlooking the charming village of Tejeda. Aside from its great location, trails and walking routes around the area makes it a popular choice for nature lovers and hikers. Pilancones Natural Park is 32 km and only an hour and a half drive away. The hotel, built with pine woods and cobblestones, showcases the appeal of old country living and traditional Canarian design. Adding to its appeal are the contemporary style furniture. In essence, the hotel displays a beautiful harmony of sophistication and coziness that is hard to find in others. By Bus: Take Global Bus no. 18 from Faro de Maspalomas (Faro de Maspalomas – San Bartolomé – Tejeda – San Mateo) or Bus no. 34 from El Doctoral (El Doctoral – San Bartolomé). By Car: Go through the road that connects Maspalomas and San San Bartolomé, through Fataga. It took nature 12 million years to form the Pilancones Natural Park. Truly, perfection takes time. 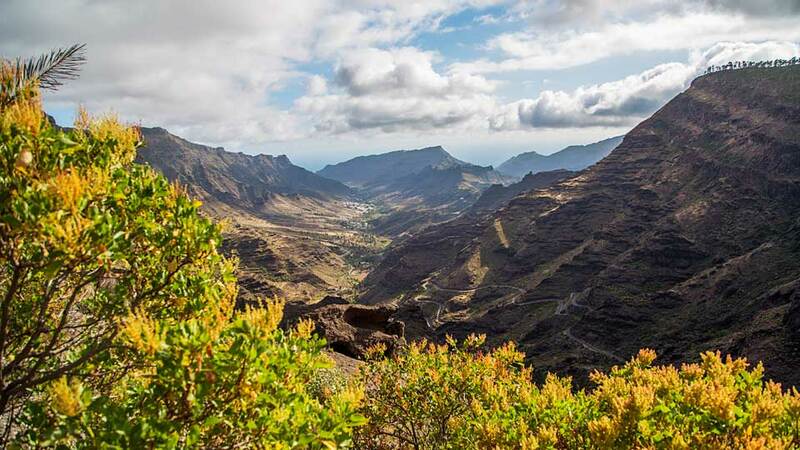 It is no wonder why it is called the most beautiful place in Gran Canaria. The amazing natural wonders of Pilancones is sure to give the complete nature experience. There are the heart-pounding trails for experts and effortless tracks for leisure walkers. As such, the park is where nature lovers, wildlife enthusiasts, and bird watchers see enchanting species in their natural habitat. Untroubled. Free. Gran Canaria is more than its famous beaches, delectable tapas, and luxury resorts. Take a journey to the countryside and breathe in the fresh air. Finally, embark on an excursion to see the most panoramic views and experience the best of Pilancones Natural Park.